There are plenty of things in life that are better for being soft: pillows and landings spring to mind. But when it comes to cars for the countryside, soft isn’t a desirable quality-you need tough, hardy, capable cars capable of withstanding everything that’s thrown at them. So, with the launch of more and more ‘softroaders’, which are sold on looks rather than practicality, it’s good to see one manufacturer bucking the trend. Subaru‘s new Forester is ruggedly built, features technology to tackle the toughest terrain and has clever little touches that make country life that bit easier. 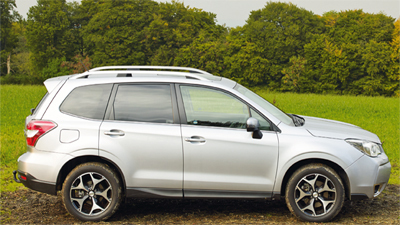 Every Forester is equipped with two core Subaru technologies: Symmetrical All-Wheel Drive, for better stability and a quick response to slippery conditions, and the latest-generation Boxer engines, improving balance, road holding and handling. The new X-Mode system comes as standard on all models with a Lineartronic automatic gearbox and controls the engine, gearbox, All- Wheel Drive, Vehicle Dynamics Control and clever differentials to ensure that maximum traction is always available. The new Forester’s off-road capabilities are further enhanced by a minimum ground clearance of 220mm and overhangs that allow for greater approach and departure angles. Lineartronic models also incorporate Hill Descent Control, to ensure that the vehicle’s speed remains constant when driving down steep slopes. The result is that the time taken for a wheel to regain traction on mud- or snow-covered roads is reduced by more than a third compared to the outgoing model. The electronics of the Vehicle Dynamics Control are particularly handy when towing- if the trailer starts to fishtail, the Towing Stability System detects this and applies small amounts of braking to bring it back under control-and dogs are catered for with hardwearing plastic in the boot, rather than easily ruined carpet, and the option of a fitted cage. But it’s not just your animals that will be travelling in style. The Forester might not be a soft-roader, but it’s far from uncomfortable: the cabin is now considerably more spacious, with higher quality materials; it’s easier to get in to and out of, as the front door apertures have been widened and side sills lowered; and an anti-slip interior step has been added to the rear-door openings. The sills are also covered by the door panel, to stop dirt building up and getting passengers’ clothing muddy. This XT version comes with all the luxuries, such as heated leather seats, sunroof, rearparking cameras, Bluetooth, iPod connectivity and a powered tailgate. The Forester now has a flatter floor to make loading large items even easier, features a hook to hang shopping on and there are a number of under-floor storage compartments. One of these has been specifically designed to hold the retractable cargo cover, so it doesn’t need to be left at home or in the garage. Details like this show how Subaru understands what people need from their car, as does how superbly the Forester drives. Advanced multilink and independent suspension, combined with the powerful, turbocharged 240ps 2.0-litre petrol boxer engine-one of three options available-make the car feel agile and planted on the road. There’s plenty of acceleration available and the high driving position gives you a great view in town or country. The car has been awarded the full five-star Euro NCAP crash safety rating, with all safety equipment fitted as standard to every model in the range, including twin front, side, curtain and knee airbags. As the final piece of the jigsaw, the Forester looks great, too: the bonnet is higher than before and leads into a muscular shoulder line that runs the length of the vehicle; the lower halves of the door panels and the tailgate feature strong, confident lines that give a feeling of solidity; and the lower part of the rear bumper is black, rather than body-coloured, enhancing the SUV’s height and ruggedness. It has the look that customers find so appealing. Just don’t call it soft. Official fuel consumption figures for the new Subaru Forester range in mpg (l/100km): Urban from 25.2 (11.2) to 40.4 (7.0). Extra Urban from 40.4 (7.0) to 57.6 (4.9). Combined from 33.2 (8.5) to 49.6 (5.7). Official CO2 emissions from 197 to 150 (g/km). WIN a luxury festive hamper worth over £400! All entries must be received by Saturday, 30 November 2013.  Promoter: Subaru (UK) Ltd, IM House, Coleshill, B46 1DF. Please see the website for full terms and conditions.